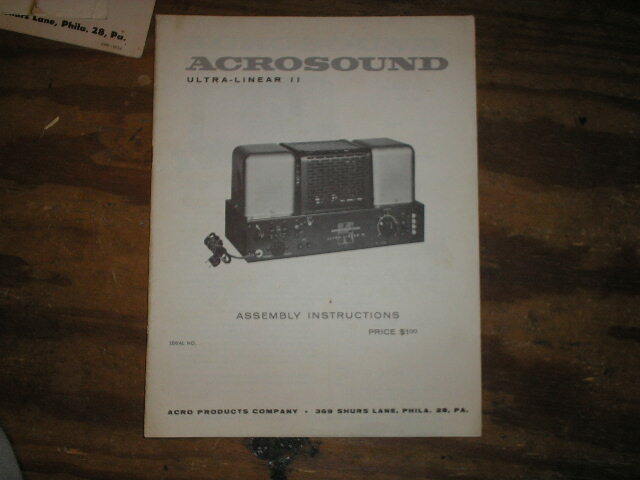 Ultra Linear II 2 Power Amplifier Service Manual for Serial no. 901382. Can use for other serial numbers. It was the serial number of the kit.